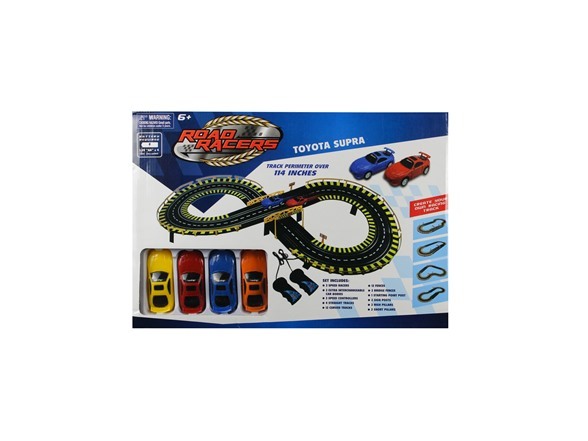 114 Inch Battery Operated Race Track with 2 Racers, Each Car is Operated by Individual Controller. Cars are Toyota Supra Licensed. 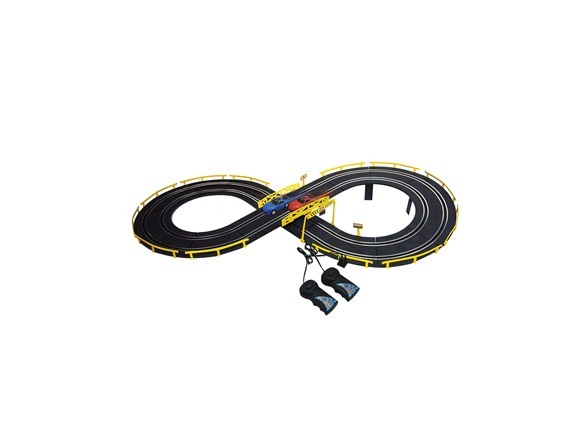 4 Different options to assemble your unique track.